The prestigious Tratman Award is given annually to a caving-related paper-based publication in memory of E.K. Tratman, who died in 1978, to recognise excellence and encourage future improvement. It is administered by the Ghar Parau Foundation. It both recognises excellence and encourages future improvement, and is considered one of the UK’s premier national awards. It is judged by a team of independent cavers – for 2017 these were: Joe Duxbury, Ric Halliwell, Martin Mills and Alan Jeffreys. 2017 turned out to be a superbly fruitful year for caving publications, providing the judges with an almost impossible task of choosing between several top class publications, any one of which, in a lean year, would have qualified as a winner. Despite increasing use of online electronic publishing (not qualifying for this Award), the publication of actual books, with all the inferred artistic layout work, editorial input and quality of production, remains a satisfying, long-term, flexible archive of knowledge and expertise. Packed with essential information and written by a group of leading experts in the field, this volume achieves a good balance between science and readability and was viewed by the judges as a fine example of a textbook for everyone. Edited by Tony Waltham and Dave Lowe, the layout is clean and attractive. A worthy contender. Commended. The expansion of this latest version of the essential Yorkshire Dales caving guidebook by Sam Allshorn and Paul Swire demonstrates that much thought has gone into the presentation of data, the use of italics to signify departures from ‘main routes’ being a particularly good idea. There is also a great improvement in the location maps and surveys shown. All told, high production values throughout. Commended. 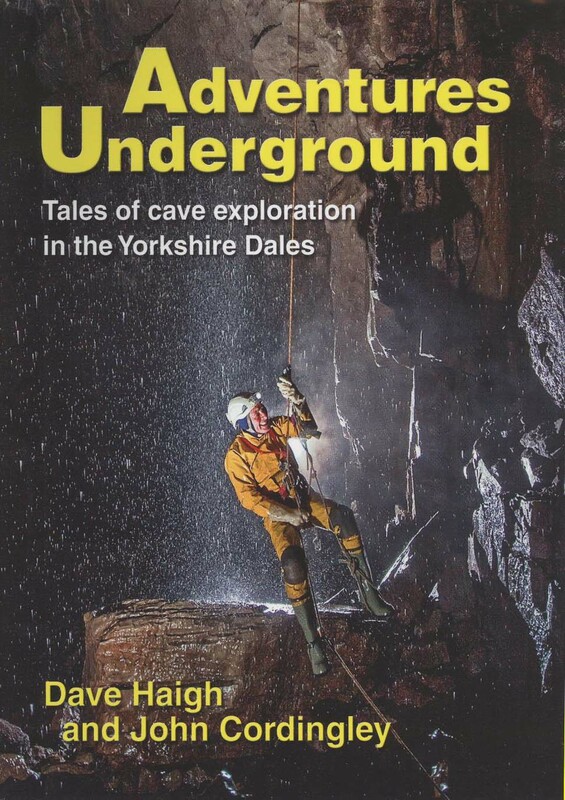 A sumptuous successor to previous editions, this volume by Martyn Farr expands its narrative to include world cave diving as well as operations and developments in the UK. A wealth of superb illustrations supports a well-researched text, which is laid out in an attractive, readable style. A magnificent piece of work which will remain a definitive history of cave diving for many years to come. Commended. This is a fascinating text, opening a window onto the burgeoning science – and politics – of cave palaeontology in the mid-19th Century. Written by Mark White of Durham University, it is well researched, attractively published and a much needed addition to the history of speleology in the UK. A worthy contender for the Tratman Award. Commended. This book sets out to document Yorkshire explorations over the last 60 years. Authors Dave Haigh and John Cordingley have produced an almost perfect text, tracing a path between technical jargon and ‘popular’ writing resulting in a work which will appeal to all sections of the community. Lavishly illustrated, thoroughly researched and beautifully published, this volume will long remain the standard for how to communicate the appeal of caving in writing. The Technical Speleological Group in Derbyshire produce sporadic reports in the form of a journal, and issue 19 truly overshadows all previous productions. Packed with 205 pages of up to the minute information, this journal is full colour throughout. Editor Phil Wolstenholme is commended for an excellent example of what clubs can produce. Commended. Consistently an excellent example of what can be achieved in the world of regular journals, this latest issue, carrying no illustrations, is a compilation by editor Peter Barry of historical references to Irish caves from 1680 to 1893. It demonstrates what careful, thorough research can produce, is properly indexed and all in all, continues the very high standard set by the Speleological Union of Ireland. Commended. Successive editors of this monthly newsletter are to be commended for the attractive layout introduced by Mark Lumley in 2009, which has been developing ever since. The embellishment with colour from the July-Sept issue heralds even more improvement and sets an enviable standard to be envied by other clubs. The winner for 2017 was very hard to select. Not only the extremely high standards, but the sheer quantity of publications rendered choice acutely difficult, and it should be emphasised that being short-listed this year is a specific recognition of publishing excellence. The Award was ultimately given to ‘Adventures Underground’ by D. Haigh and J. Cordingley for a truly outstanding piece of work which, it was thought, would probably attract many people into the sport as did its predecessor ‘Underground Adventure’ (1952). A very fine example to stimulate future authors. Winner. It is noted above that to be short-listed for this award is, in itself, a mark of excellence and your work should be considered a prestigious achievement in its own right. While there can only be one winner, in effect, all the authors and editors have to be congratulated on the very high standards achieved.